For the 8th year in a row, me and my Final Cut MTL partners are hosting the 2012 PostNAB show. PostNAB is a fair and a series of conferences where we invite production and postproduction related manufacturers, developers and resellers to show there new products. 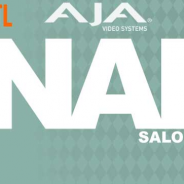 The event is usually held in Montreal a month or so after the NAB Show in Las Vegas. Marc-André Ferguson of Autodesk will show us the redesigned version of Smoke 2013 4 days before the actual beta is released.